I have been asked to spread the word about a website (FacePlace, where else?) that is selling “fake” Sovaldi. I personally have no direct proof that this is indeed the case but it stands to reason that a sucker is born every day. It’s one of those “by invitation only” sites where you need the secret handshake. Check it out. It seems like a cruel joke to play on anyone with the disease. It promotes false hope as well as divesting them of funds better spent on true relief. 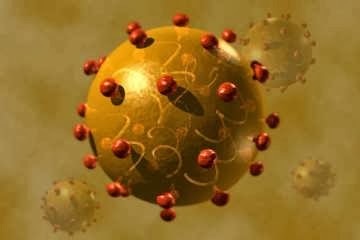 There is no magic panacea to remission of Hepatitis C. This is all the more true if you suffer from Genotypes 1A and 1B. Your chances with success on Sovaldi alone are between slim and none. Of course, with fake Sovaldi, there is no chance whatsoever. My Uncle Jay, while he was a Prisoner of War (or guest) of the Japanese during World War II, told me he’d pound aspirin tablets or quinine pills into a .30 calibre shell casing to approximate the shape of a pill to trade with his Japanese prisoners. He told them it was Penicillin so they could treat themselves for syphilis. If Japanese troops in war were that gullible, you can imagine the desperation and the lengths anyone would go to obtain a life-saving drug like Sovaldi. Don’t be one of those suckers born every day. While it worked for me on a six month regimen, a large reason for my success with Sovaldi was the genotype. I have (or had) Genotype 3A indiginous to the Indochinese Peninsula at the time in 1970. 3A responds well to this all alone in conjunction with Ribavirin. As my autoimmune system is on DEFCON 1, I decided against the riba which is why I was able to do the whole six months. There is no shortcut to this. I suppose if you fly to India and are put on a carefully vetted regimen with a real Indian doctor and not a quack, you may be able to get Sovaldi there at a price of $10 a pill. It would still cost you more for the Riba. You would need to do it for six months which multiplies out to $1,680 for the Sovaldi alone. Now think about adding in medical visits, hotel, food and the riba. You’re still going to need some deep pockets and an honest doctor to make this pencil out. They aren’t just going to sell you 168 pills and wish you the best. My belief is that the price will come down or you should avail yourselves of the Patient Access Network (PAN) as I did and pay it forward after you attain SVR. PAN is more than willing to accept donations. That’s how it works. Medicaid will pick it up in most cases and VA will eventually be able to if they can figure out how. Right now they have a few issues with putting VA’s budget in order and curtailing bonuses. The Phoenix Phiasco is going to haunt them for years to come when they show up on Capitol Hill begging for funding. And then there’s the problem with VA’s construction arm. Seems they have a few loose nuts in development who can’t figure out a budget or the cost of widgits in Denver. In short, please do not fall for “cheap” Sovaldi. Please be leery of signing up for a “medical vacation” in Bolivia where Sovoldi grows free on trees. Remember too, if you need it desperately, you can always call Gilead Sciences and plead your case. You’d be amazed to find out they have a heart in spite of all that hooey about them being intractable about price reductions or poverty cases. There are far more options on the table than it would seem. Don’t opt for the Earl Schieb $99.95 paint job when you can get the real McCoy with a little sleuthing. Remember also that this field of medicine is in its infancy. Within five years this is going to be history. Cancer will undoubtedly be the next triumph. There is no shortcut to SVR. Fortunately, it doesn’t entail the horrors of Interferon now. 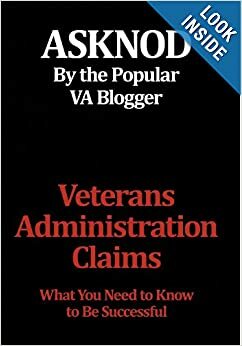 This entry was posted in Sofosbuvir and tagged ASKNOD BOOK, asknod.org, asknod@wordpress.com, Disabled Veteran, Gulf War Claims Help, Gulf War Vets Help, HCV, HCV Health Tips, HCV Veterans, HCVETS, Help with vA Claims, Help with vA HCV Claims., Helping Veterans, VA HCV Claims Help, Veterans Benefits, Veterans claims help, Vietnam Veterans Claims Help.. Bookmark the permalink. Sofosbuvir 400mg tablet brand name of Sovaldi is an antiviral medication used for the treatment of hepatitis C chronic by preventing cells from hepatitis C virus multiplied in your body. Sofosbuvir 400mg tablet used in people who also have HIV, or people who have liver cancer and are going to have a liver transplant. We take guarantee of quality and delivery anywhere in the world as per the buyer’s requirements. The satisfaction of our buyers is our top priority . They are claiming to be selling generic sovaldi from India for $1,200 for 28 pills. I checked them out and this is a SCAM for sure. They say the med is from Natco but they don’t work for Natco and they get your credit card info and mail you the meds. They are also subscribed with the number 2 rogue pharmacy site which makes it impossible to submit complaints on them. When I check things out I really check them out and there is no doubt in my mind this is a scam.